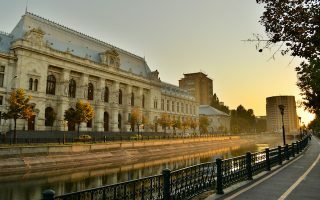 Bucharest is Romania’s capital and economic and cultural center, located on the banks of the Dâmbovița River near the country’s southern border. 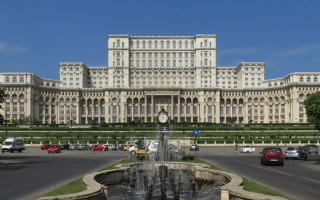 Sometimes called the “Paris of the East,” Bucharest is known for its extravagant architecture and high culture, which emerged between tumultuous periods of war, natural disaster, and socialist systemization. Since the Romanian Revolution circa 1989, the city has focused on urban renewal, restoring its parks, streets, and historic center. There are great options and variety for running in Bucharest. The most popular running destination is Herăstrău Park, a beautiful lakeside space in the north of the city. Other great park running exists in Tineretului and Carol Parks, Văcărești Nature Park, and Plumbuita Park. 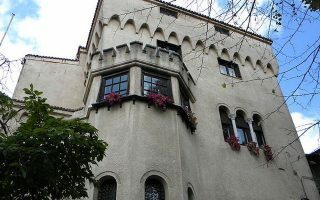 Runners can explore some of the city’s top tourist sites on our Runseeing tour of Old Town, or check out posh residential neighborhoods such as Cotroceni and Dorobanti. For a long distance run, the best option is the lengthy sidewalk along the Dâmbovița River. 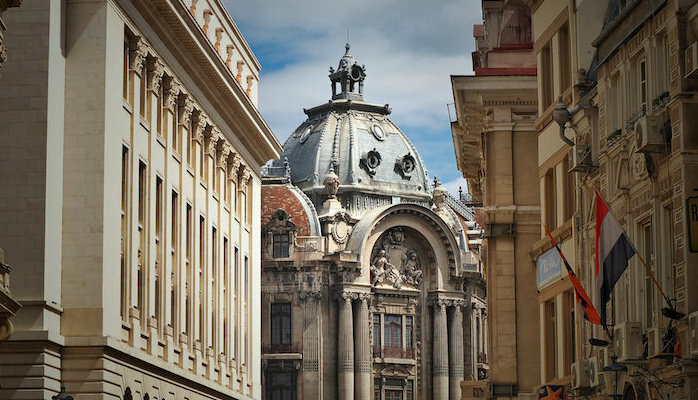 Wherever you run, you’re sure to be met with stunning architecture and a glimpse of Bucharest’s fascinating history. Getting around Bucharest is relatively easy on foot, but public transportation is great here. Most of our routes are within easy distance of the Metro’s four lines. There area also bus, tram, and trolleybus lines with cost-effective, interchangeable tickets. A 6 km run past the sights of Bucharest Old Center, including the Palace of the Parliament, Cișmigiu Park, and a handful of other important buildings and monuments. One of the most popular running spots in Bucharest. Arc of Triumph, fountains, Japanese Gardens. A highlight is the ~7 km loop on the path around Lake Herăstrău in this large and scenic park. One of the best options in Bucharest for a long, straightforward run is the stretch of sidewalk along the Dâmbovița River, up to 10 km one-way. Not a greenway, but runnable. Best section is the ~3 km between the Church of Bucur the Shepherd and Eroilor Park. 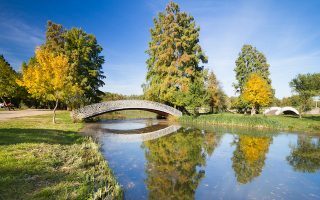 Combine these two parks in the Tineretului neighborhood, south of the city center, for a 6 km route including gardens, lakeside paths, and a famous mausoleum. Numerous add-on options. Explore the beautiful villas of the centrally located Dorobanti neighborhood with our 5 km tour of some of the best streets. 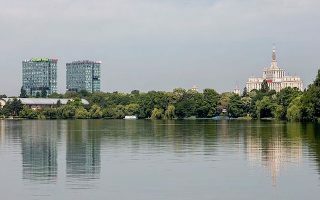 Though Herastrau Park is the top running choice along Bucharest’s northern lakes, runners will find a more peaceful choice for a 3 km waterside run in Plumbuita Park. 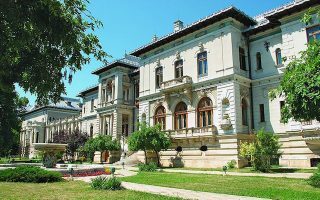 Cotroceni is another beloved neighborhood of Bucharest, marked by residential 19th century villas, tree lined streets, and sights such as the Bucharest Botanical Gardens, presidential residence, and the Church of St. Eleutherius. 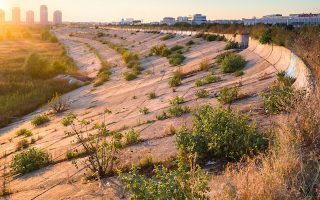 This peaceful protected space around a reclaimed reservoir offers great views of the Bucharest skyline from a natural escape. 5 km loop with additional cross paths. Bucharest has a humid continental climate, with warm summers and cool to cold winters. Typical mid-summer highs are well into the 80sF (28C). It can be humid, with most rain coming in the form of storms/downpours. Spring and fall are mild to warm and gorgeous. Winter can be cold. Although January high temperatures climb above freezing, nightly lows bottom out near 20F (-6C). There can be much colder snaps, and about 56 cm (22 inches) of snow falls annually, so be prepared, clothing-wide. There are plenty of great lodging options around Bucharest. The top area to stay for visitors is surrounding Old Town and Unirii Square. This centralized location offers travelers a chance to see it all. 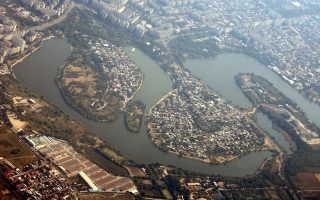 There is also a smattering of hotels in the Primaverii area near Herastrau Park, and south of the city center in the hip Tineretului neighborhood. There are outlets for Nike, New Balance, and Adidas centrally located in Bucharest. The Bucharest Running Club is the go to group in the city. They host a number of races throughout the year. See the Bucharest Running Club’s upcoming events. Raiffeisen Bank Bucharest Marathon (plus other distances). October. Volkswagen Bucharest HALF MARATHON. May.